Unbelievable original with only 82.934 miles since new! The Aston Martin DB5 with chassis number DB5/1480/R is one of the most iconic classic cars and because of that a serious investment. Nearly fifty years after its screen debut in 1964, the DB5 has left an indelible mark on popular culture. 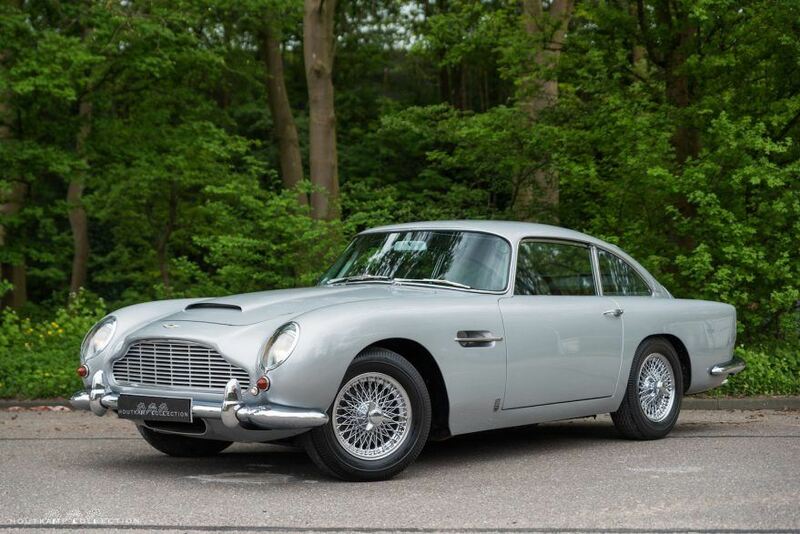 Due to the amazing impact James Bond had and and still has, the DB5 is a car which has to be part in almost every serious classic car collection. In the late 1950s, Aston Martin was still a small, highly exclusive car manufacturer that produced less than 250 hand-built cars per year. Their clientele was an exclusive base of discerning connoisseurs of grand touring motor cars, many who were attracted to the company due to its successes in sports car racing. 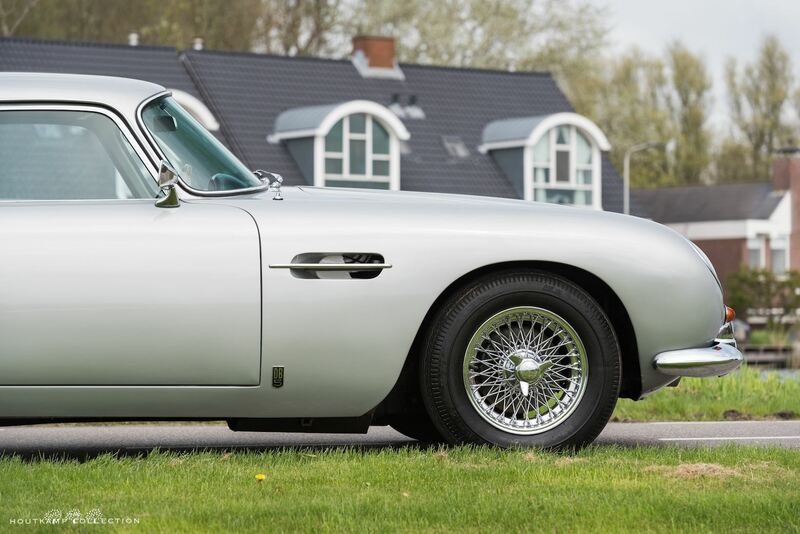 The DB5 was costing roughly twice of a new Jaguar E-type. 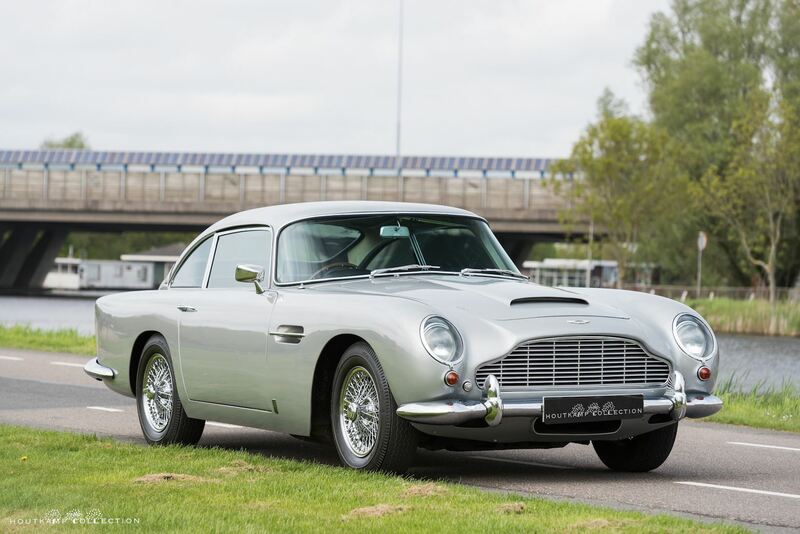 In 1963, Aston Martin introduced the DB5 at the Earl’s Court Motor Show in London. 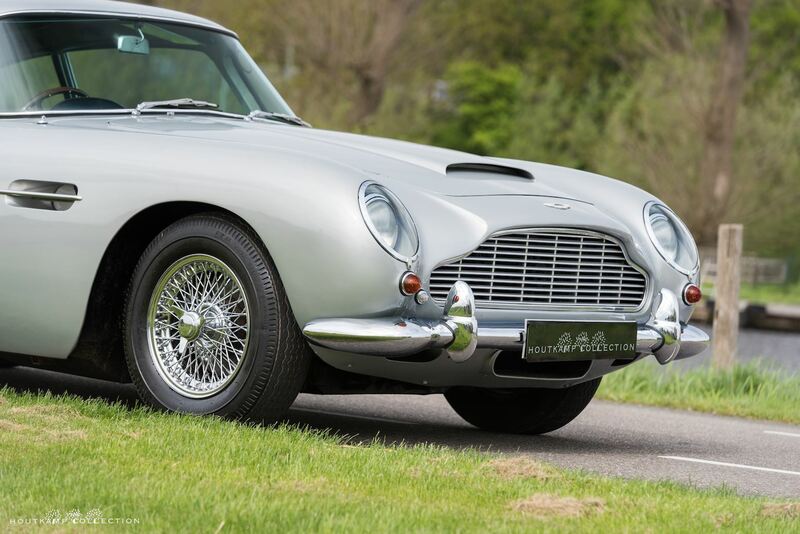 The design was similar to the DB4, but the six-cylinder engine displacement had been increased to 4-liters. It had three SU carburetors as standard equipment, with horsepower increased by 20 percent to 282 horsepower. Other refinements included a twin fuel fillers, electric windows, and a highly tuned exhaust system. After just 50 units were built, the ZF five-speed gearbox became standard equipment. Between 1963 and 1965, just 886 DB5s were produced, all of which received Touring’s superleggera (super light) bodywork. 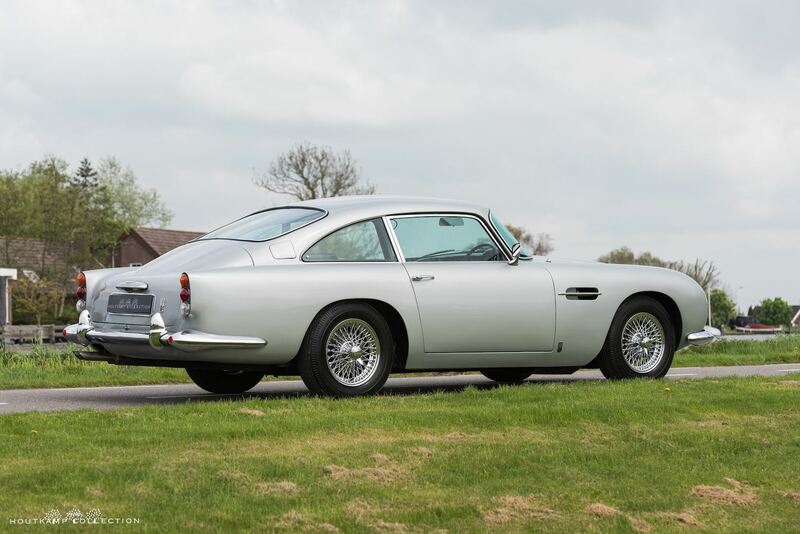 We are personally completely in love with this Aston Martin DB5. This car is as it was intended by Aston Martin at it’s introduction. It’s an extremely original example which has been owned for over 30 years by the former owner. He bought the car from the 1st. owner, a person named Fry from Riverside Garage. We have been able to buy the Aston from a gentlemen who owned the car for 30 years. An English gentlemen who is living nowadays in France where he also kept the car. He never really used the Aston. 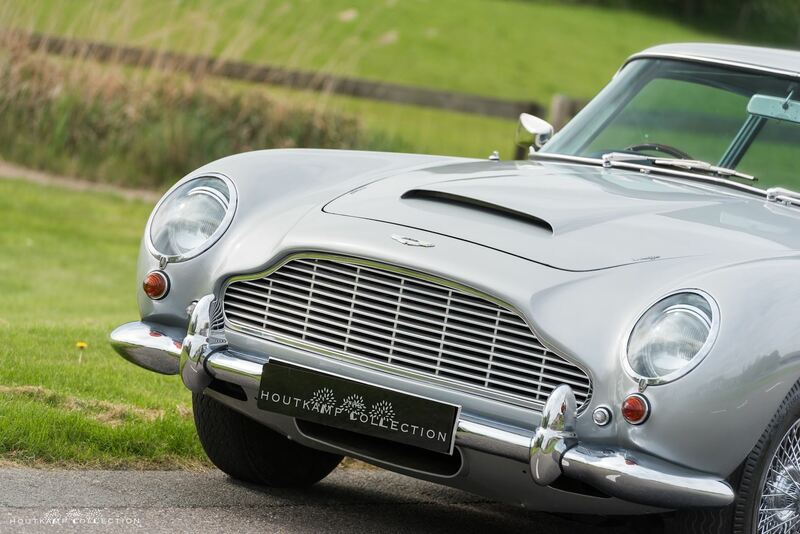 Out of the records we can see that the Aston drove in the first 2 years of it’s life almost 38.000 miles but in between 1966 and 1978 only 40.000 miles were added, so approximately 3.350 miles a year. Between 1978 and today the Aston drove only 5.000 miles and therefore the condition of this Aston is so incredibly original. A fuel engine rebuilt with conversion to unleaded fuel has been carried out during the ownership of the last owner. Due to the increase in value and the fact that the Aston was not used the gentlemen decided to sell the car. We recently drove the car for a longer trip and the engine is running absolutely wonderful. The car needs a good service including a complete brake check and fluids change but it’s very clear that this is such a perfect unmolested car to see and to drive. Originally the Aston was delivered in Pale Primrose Yellow with a black interior. 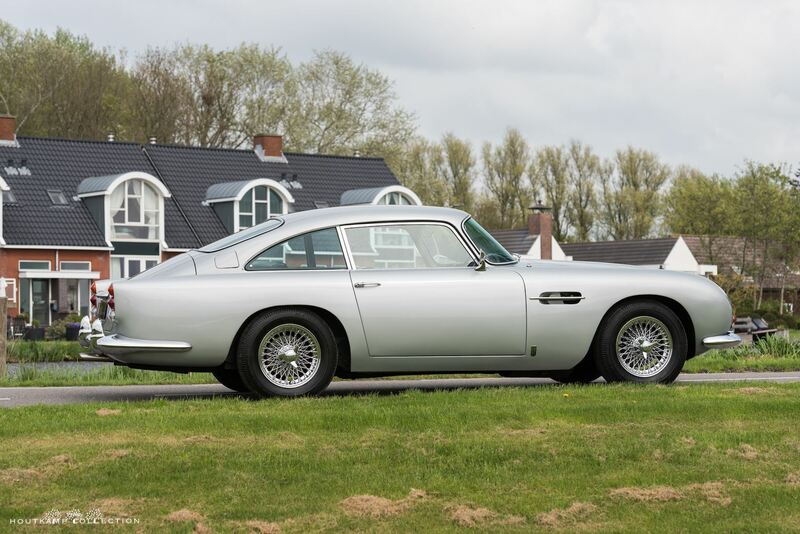 According to the former owner it seemed that the Aston had a color change before it was delivered to it’s first owner because the color was not easy to sell. We personally love Pale Primrose Yellow but it’s indeed a completely different color from standard colors. Anyway if the new owner would decide to respray the Aston it would be good to consider Pale Primrose yellow as it is a very special color and very beautiful on a DB5. The DB5 has been extremely well preserved and stored as one can easily see on the window rubbers. Due to the fact that this is an extremely original car it is possible to find here and there something on the body. That’s what makes this car unique. This example is not an over the top restored example but a very nice original car with a nice paint and very nice details. It depends on the new owner. The current paint for example is very nice but not perfect but if one decides to make it perfect it can be resprayed off-course. We personally would keep the paint as it is. The chrome bumpers are in a unique condition. It’s finally possible to see how the bumpers should look. They are nowadays many times to thick and not correct re-chromed. The bumpers show very minor patina as it has very little pitting. Absolutely keep the bumpers as they are. The grille is also in a very nice shape even as the windows which are without scratches. The door-fittings are excellent on this car. Even the booth and bonnet fit very very well. Even the chrome wired wheels are in a very nice condition and don’t need any attention while these are mainly showing some rust issues. The interior of the Aston is probably the most impressive part of the car. We never saw such an original and nice interior in a DB5. From the bottom till the top so from the carpets till the headlining the interior seems to be original. Carpets are all original and in a nice condition. The complete dashboard is completely original and due to the low mileage in a very nice condition. The seats have never been renewed and are all original which is off-course very unique. 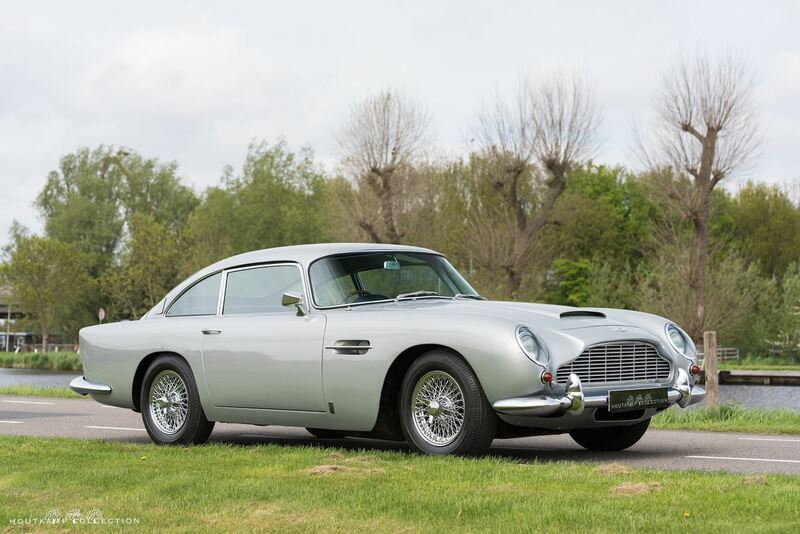 These cars have always been from people who have a certain amount of money in their wallet so many times these cars are made to personal requirements but this car is 1 of the few which is showing how the cars were made by Aston Martin in the 60ties. Overall, the driving experience feels very special and the Aston is an absolute joy to drive. By driving the car, you definitely feel yourself a bit James Bond. 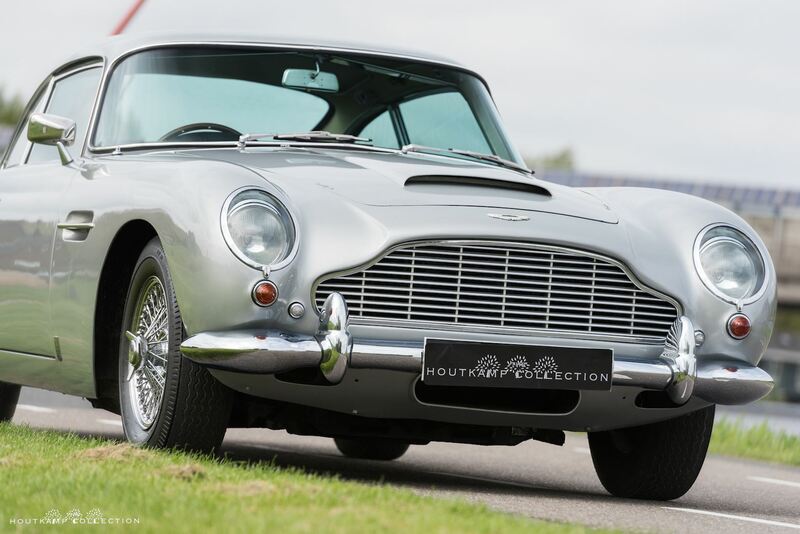 When we bought this DB5 we decided to bring the car immediately home. After a quick check of the cooling water, the brake fluid and the oil level we started the car. As soon as the key of the Aston was turned, the engine started easily and it became immediately clear that the engine was running very strong. Strange enough, every classic car is driving slightly different. 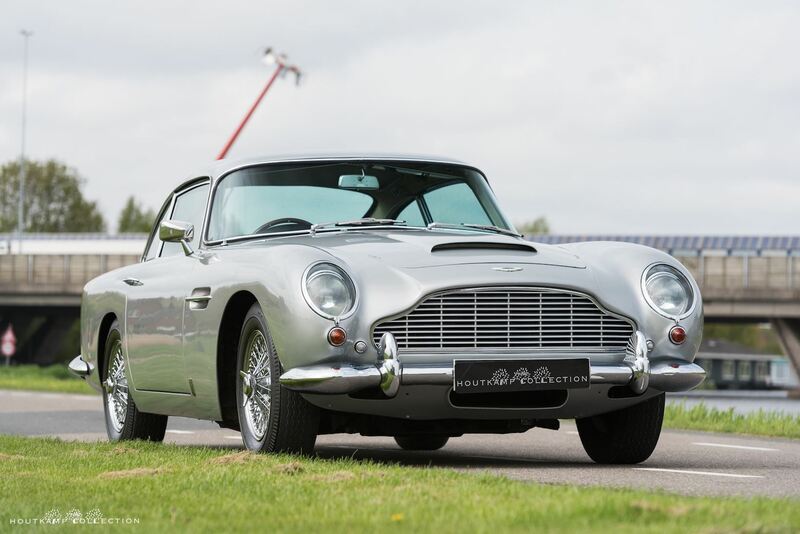 Every DB5 is driving slightly different but after 500 meters it was clear that this Aston was driving extremely well. The power in the car is amazing, even as the handling. As is often the case with classic cars of the era, they can be a bit weak in steering but this car is driving impressively straight. The transmission shifts very well with good syncros, both when warm and cold. Due to the fact that the car was stored for a longer period it needs a good service. We can do this service in house as we have a team of mechanics in the workshop. This is a very rare and unique DB5. A car which is unmolested and very original. Due tot the fact that the car is well stored it’s in a wonderful exterior and interior condition. The engine rebuilt which has been carried out by a mechanic of Aston Martin works resulted in a very nice running and driving example.